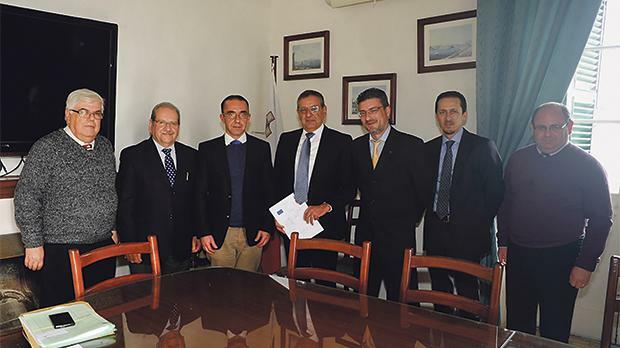 From left: Albert Zammit, Customs manager, Research and Development; Paul Bonello, adviser, Customs Procedures and AEO programme; Alan Mamo, Customs director, Compliance and Systems; Joe Gerada, Thomas Smith Group’s managing director; Bernard Muscat, Thomas Smith’s assistant cargo general manager; Donald Naudi, Thomas Smith shipping operations manager; and Francis Callus, Inspector of Customs and Customs AEO contact person. 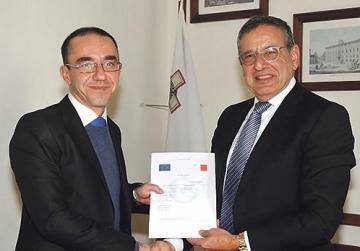 Thomas Smith was awarded the Authorised Economic Operator (AEO) status by the Malta Customs Department. The World Customs Organisation introduced the AEO concept to the customs legislation to balance the rules on security controls and to facilitate trade of compliant economic operators. Certification is achieved by businesses that meet strict customs criteria by demonstrating quality, compliance and trustworthiness in the international supply chain. AEO is, in fact, an accreditation recognised throughout the EU and internationally. Thomas Smith has fulfilled the criteria laid down in the Union Customs Code Regulation and Commission Implementing Regulation and is now formally recognised by Customs as a trusted partner and is entitled to benefits in customs-related procedures. A set of common criteria were met, involving customs compliance, appropriate record-keeping, financial solvency, competence and appropriate security and safety standards. AEO certification is granted to any economic operator involved in the international supply chain, including freight forwarders, customs brokers, carriers, ports and terminal operators, as well as manufacturers and importers/exporters. AEO status is continuously monitored and can be reassessed to ensure continuous compliance with the strict criteria set. Thomas Smith is a group of companies offering a diversified portfolio of services in shipping, logistics, and insurance.